On the 2nd and 3rd of June 2016, the Institute for Architecture TU Berlin will host the international conference THINK.DESIGN.BUILD. Architektur Matters. The conference Think. Design. Build. Architectural Matters will look at the three fundamental knowledge practices of architecture: The practice of THINKING (concept/word), DESIGNING (drawing/model) and BUILDING(material/structure). A focus will be the critical analysis of the models, methods and medial practices of that which can be expressed in WORDS (idea), represented in DRAWINGS (creation), and constructed in MATERIAL(realisation). The conference will analyse how the three knowledge practices are interconnected, and how knowledge is transferred, transformed and accumulated. The conference will investigate the theoretical conception of architecture at the point of transition between the abstract and the metaphorical content of language (PANEL I: THINK). 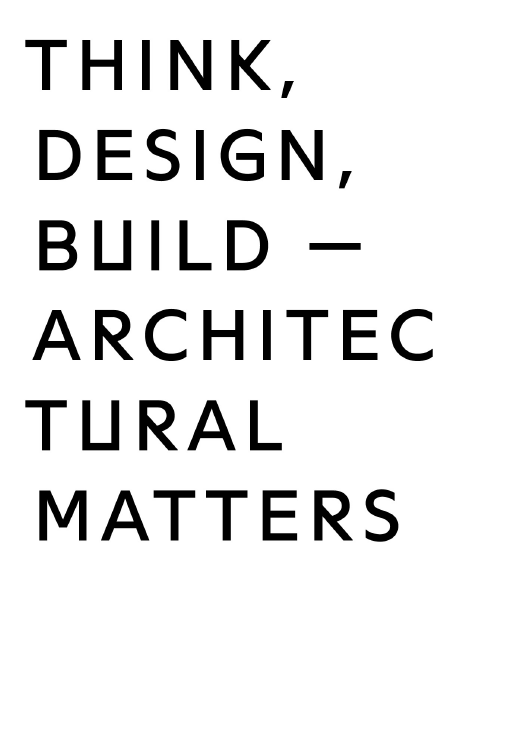 Secondly it will look at the design conception of architecture and thus at the design process as an agent and catalyst between idea and realisation (Panel II: Design), and thirdly it will concentrate on the constructive and material conception of architecture and thus on the translation from idea to the concrete material object (PANEL III: BUILD). Toyo Ito will hold the keynote lecture on Friday, June 3.